Most of you get intimidated when it comes to running a Pay Per Click campaign. However, those who have the hang of pay per click services, claim that it is one of the most cost-effective ways to garner more conversion and a profitable ROI. Why such a varied difference of opinions? Well, the truth is if you’re previously incorporated Pay Per Click marketing and haven’t got the required ROI, chances are you haven’t merged the correct strategies. So, this time, if you’re skeptical of incorporating Pay Per click, worry not! Our experts have bought together 5 veritable Pay Per Click secrets and tips that’ll ensure you get the maximum ROI in a cost-effective manner. The trick to making your Google Ad copy attractive and cost-effective is to ensure that it scores a higher numeric value as per Google’s requirements. Now, this is possible with an optimized landing page, along with using most applicable keywords etc. At our organization, we use the most valuable keywords and connect them to proper landing pages while personalizing your product or service in a way that users find it relevant. As a result, we’ll ensure that your pay per click services ad copy is awarded, a good quality score and hence, Google automatically reduces the CPC’s on your ad post. What most business owners forgo while conducting a Pay Per Click campaign is not tracking conversions. They invest money and once they deplete their budgets, they quit. However, like Pay Per Click campaigns let businesses analyze and measure conversions, it’s vital that brands utilize the pixel conversion tracking options available on various search engines and find out if they’re investment is bringing them to profit or not. Your brand can track the most workable keywords, quality score and other factors that can help you get an insight on framing your next ad. Further, it can help you plan out a budget that’ll work best in your PPC campaign. Now, does this sound a tad confusing? Then you can always contact our professional experts for guidance regarding your pay per click services campaign. Did you ever consider that you previous Pay Per Click campaign did not work out due to the use of negative keywords? Using the correct keywords is optimal for both your ad copy and optimizing the landing page. Hence, say you deal with ‘soccer balls’, then using the keyword ‘balls’ will not work favorably for your ad copy. In that case, your landing page may not be ‘soccer balls and the ad copy will confuse Google. As a result, it’ll firstly, increase the CPC’s and bring in fewer conversions thus making you deplete the budget. Our in-house experts, hence, pay careful considerations to ensure that we utilize the most applicable targeted keyword and optimize it with the appropriate landing page. Hence, along with a good quality score for the ad copy, we assure suitable conversions. 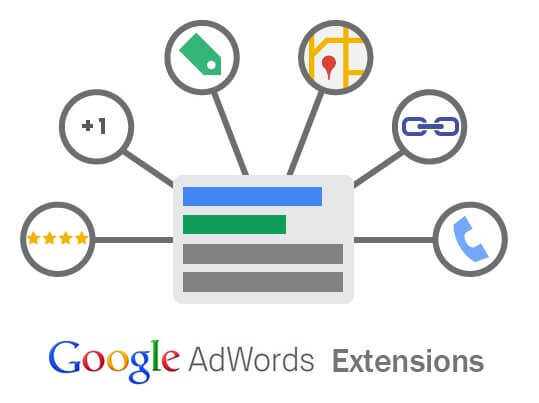 AD Extensions are like the icing on the cake when it comes to PPC ad campaigns. Often companies to save a few extra bucks ignore these, but in reality, these ad extensions are tools that help boost your Ad’s real estate value. These will include your location, services, phone number and required contact details that’ll make it convenient for a web user’s to pick your company. As, a result, companies that use ad extensions in their Pay Per Click are likely to garner more traffic that converts to profitable conversions. 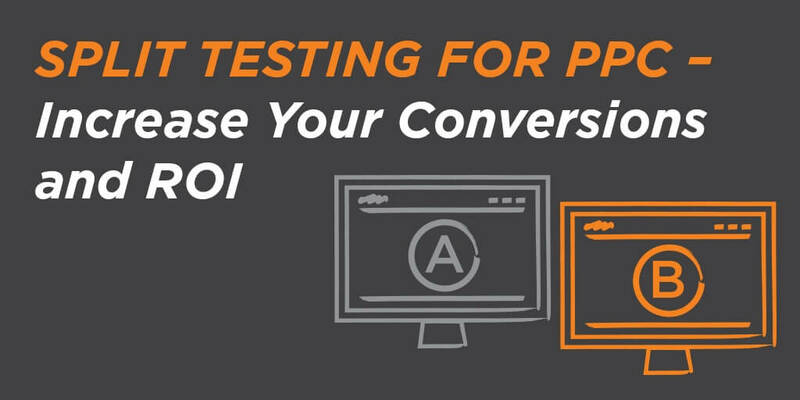 Most businesses ignore split testing or end up doing it incorrectly. For example, centering split testing as a single factor like just the ad’s title. Now, Split testing, in reality, affects any portion of the content that is changeable. From links, URL’s, images, ad copies, on page titles, color schemes etc. Utilize all the factors when you’re considering Split testing. As per our guidance, and expertise, we prefer using simple design approach rather than targeting wordy complex designs. Well, there go the 5 pointers, hopefully, we’ve managed to offer you some clarity when it coming to planning your next pay per click services campaign. However, in case you need expert help, we are ready to assist you with our certified services. Just, contact us today and let’s together strategize a profitable Pay Per Click campaign.